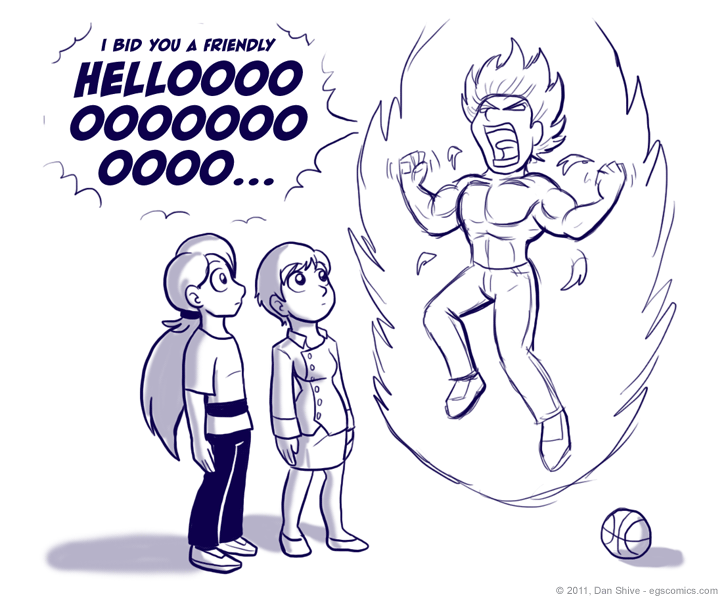 I'm not sure if I should be apologizing more to people who like Dragonball Z or those who don't. Maybe I should just apologize to everyone? An obvious alternate ending to this comic, I flipped a coin to determine whether to go with this as the last panel or what I ultimately went with. This ending actually won, but then I decided to go best 2 out of 3. It won again, so I decided to do best 3 out of 5. This went on for quite a while before I said "screw it" and went with the less insane option. True fictional story!